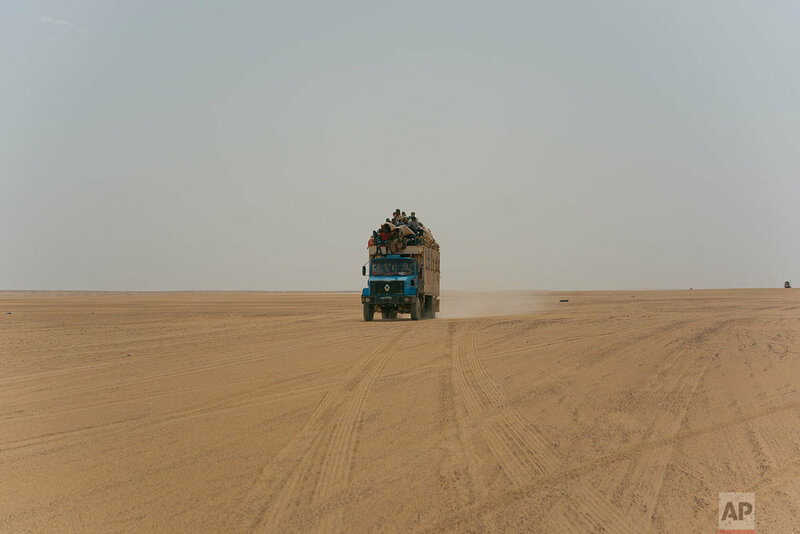 From this isolated frontier post deep in the sands of the Sahara, the expelled migrants can be seen coming over the horizon by the hundreds. They look like specks in the distance, trudging miserably across some of the world's most unforgiving terrain in the blistering sun. “Women were lying dead, men..... Other people got missing in the desert because they didn’t know the way,” said Janet Kamara, who was pregnant at the time. "Everybody was just on their own." Algeria’s mass expulsions have picked up since October 2017, as the European Union renewed pressure on North African countries to head off migrants going north to Europe via the Mediterranean Sea or the barrier fences with Spain. These migrants from across sub-Saharan Africa _ Mali, the Gambia, Guinea, Ivory Coast, Niger and more _ are part of the mass migration toward Europe, some fleeing violence, others just hoping to make a living. Kande said the Algerian police stole everything he had earned when he was first detained _ 40,000 dinars ($340) and a Samsung cell phone. “They bring you to the end of Algeria, to the end in the middle of the desert, and they show you that this is Niger,” said Tamba Dennis, another Liberian who was in Algeria on an expired work visa. “If you can’t bring water, some people die on the road." He said not everyone in his group made it, but couldn’t say how many fell behind. 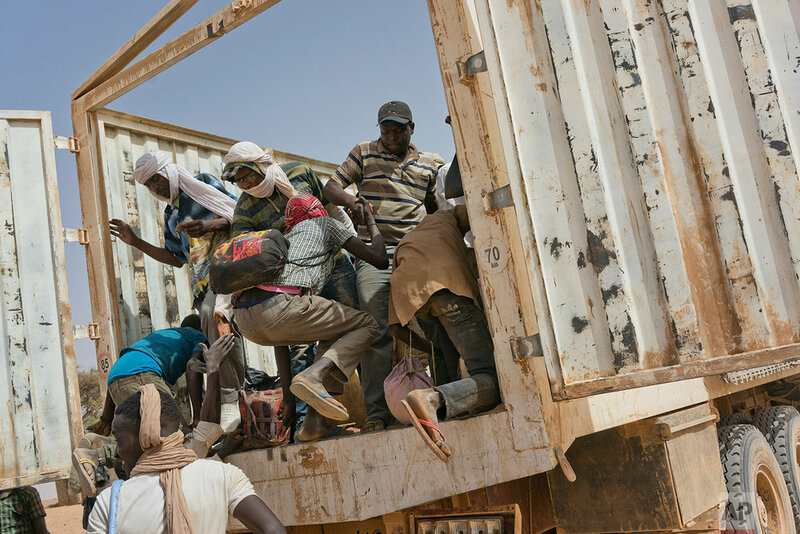 The number of migrants sent home in convoys _ nearly all of them Nigerien _ has also shot up, to at least 14,446 since August 2017, compared with 9,290 for all of 2016. The journey from Algeria to Niger is essentially the reverse of the path many in Africa took north _ expecting work in Algeria or Libya or hoping to make it to Europe. They bumped across the desert in Toyota Hilux pickups, 15 to 20 in the flatbed, grasping gnarled sticks for balance and praying the jugs of water they sat upon would last the trip. But people die going both ways; the Sahara is a swift killer that leaves little evidence behind. The arid heat shrivels bodies, and blowing sand envelops the remains. The IOM has estimated that for every migrant known to have died crossing the Mediterranean, as many as two are lost in the desert _ potentially upwards of 30,000 people since 2014. Even in Assamaka, there are just two water wells _ one that pumps only at night and the other, dating to French colonial times, that gives rusty water. The needs of each wave of expelled migrants overwhelm the village _ food, water, medicine. "So it becomes an endless cycle,” he said wearily. 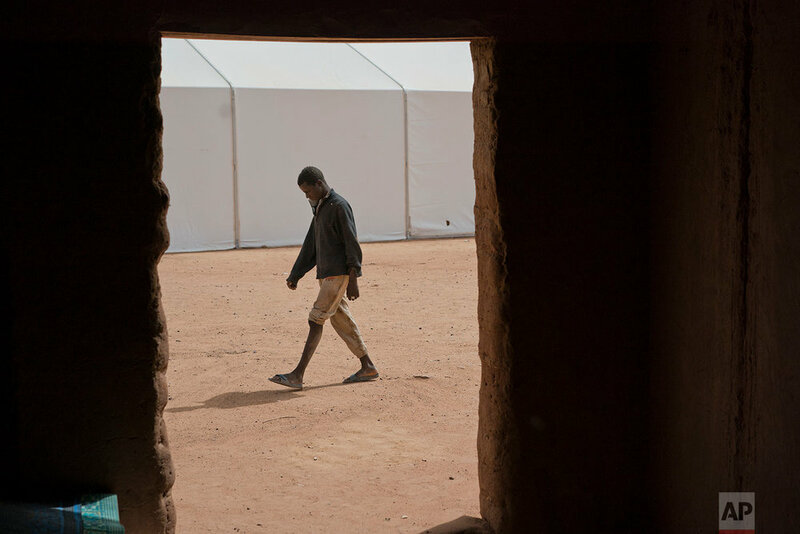 Text from the AP news story, Walk or die: Algeria abandons 13,000 migrants in the Sahara, by Lori Hinnant.